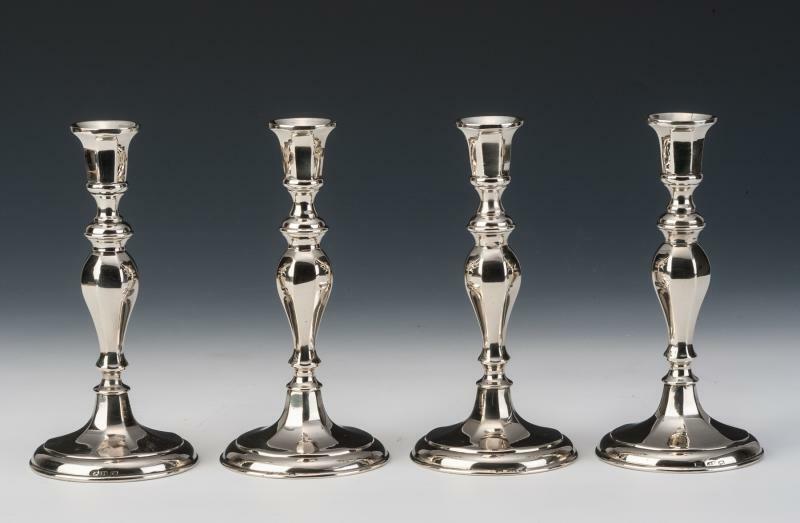 A rare set of four 18th century paktong candlesticks, the design of Huguenot influence, English circa 1720-1730. The octagonally facetted stem of two parts, seamed and fixed to the base by a course thread. 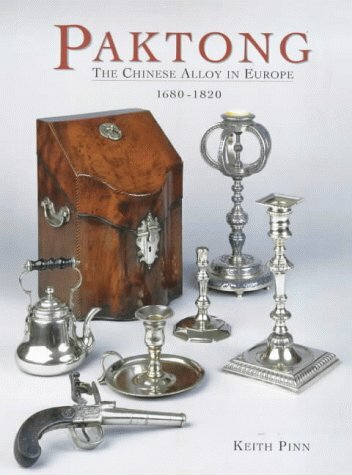 Paktong, a rare Chinese alloy imported in small quantities during the eighteenth century, was used by European craftsmen to make domestic objects in imitation of silverware. This metal has been shrouded in mystery since it was first recorded by Western travellers in the seventeenth century. The vital silver-coloured ingredient, nickel, was not identified in the West until the second half of the eighteenth century, and it was to be a further fifty years before scientists were able to perfect a viable imitation of paktong. In more recent times the mystery of paktong has lain in the lack of documentary evidence concerning its use in the Georgian period. This has given rise to many myths and speculative theories about the metal.